Finding Wonderland: The WritingYA Weblog (archive): Got a Book? 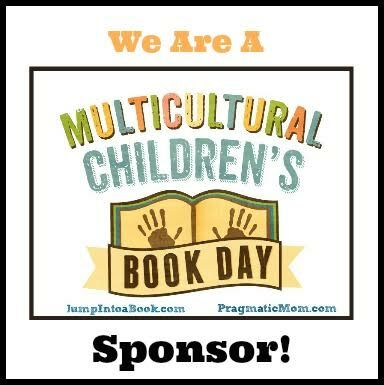 Give a Book! Or Three. Are you ready to Rock the Drop? 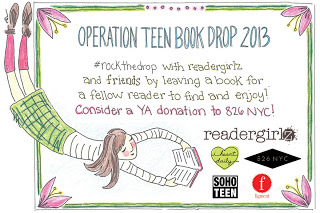 Today marks Readergirlz' annual Operation Teen Book Drop, and you can celebrate by stealth-dropping your fave YA books for readers to discover, or by donating books to 826NYC (more details on the Readergirlz site). Don't forget to print out their nifty bookplate! Another way to rock a teen reader's world: help Guys Lit Wire by participating in their annual Book Fair for Ballou High School in Washington, DC: "Starting in 2011, we have helped Ballou move from a library that had less than one book for each of its 1,185 students to a ratio now of FIVE books per student." But 11 books per student is the recommended minimum, so why not buy a few and help them reach that goal? Check out the GLW post, then go to the Wish List at Powell's Books between now and April 28th to contribute. Ante up, you guys. Our blog bud Kelly Fineman over at Writing and Ruminating has already pledged to donate 21 books: "One in honor of each of the Sandy Hook kids, who didn't get to go to high school." And, as she points out in her post, Ballou gets ZERO dollars from the public school system to buy books for their library. Zero. Think about it. As someone who attended public school for almost my entire K-12 career (from 4th grade on), I believe strongly in our public schools, and I want to see them succeed, so I'll be contributing again.